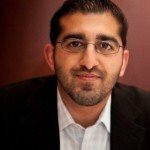 Paul Singh, one of the original three partners of 500 Startups knows more than just a little bit about startups. In the last five years, he’s flown over 500,000 miles circling the globe, during which time raising tens of millions of dollars in venture funds, and investing in hundreds of companies. A startup founder a few times over himself, he’s been on both sides of the table and has had his fair share of both successful exits and struggles past proof of concept. That’s just one of the many reasons why he knows startups and small businesses better than most others; and why they know him. “The real goal of the Tech Tour is to bring functional expertise and venture capital dollars to parts of North America that don’t regularly get the same amount of attention as the well-known tech hubs,” says Singh. Through Geeks on a Plane, organized by 500 Startups, Singh led hundreds of startups, investors and executives around the world to learn about high-growth markets outside the US, while bringing a little bit of Silicon Valley with them. Now Singh’s turning his sights toward North America and slowing things down a bit. With stops in 15 cities booked for 2016 (and a few more on the way), the goal is not just to blow into town for a media blitzed, grip and grin panel, but to offer support, guidance and get deeply involved in the local scene through a week long series of events and programs. The tours will include free, and open to the public office hours, at coworking spaces, tours of incubators with local officials, investor dinners, workshops, pitch sessions and of course, and fireside chats.